Static electricity experiment. The electric charge has been generated (by friction) on sticks of wax (in the experimenter's hands). 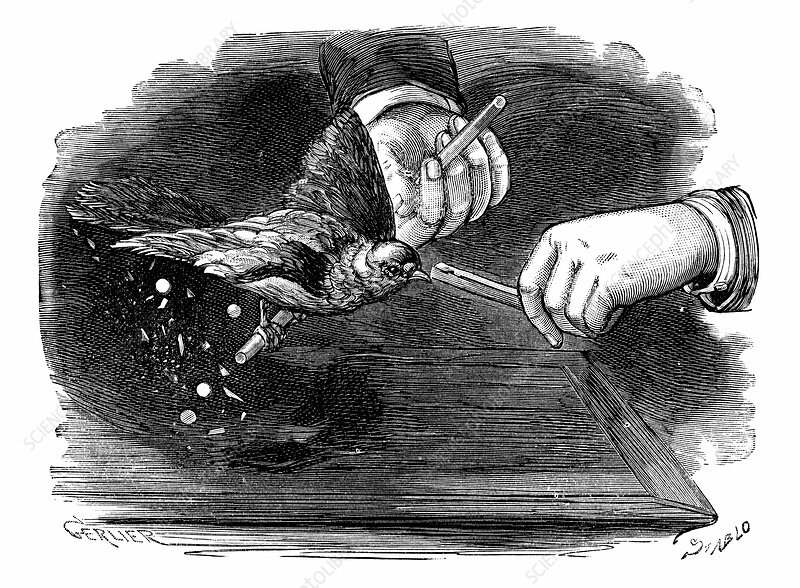 The charge is being transmitted to a bird, and the attractive and repulsive forces are causing pieces of paper, ash and cork to levitate in the air. This illustration, part of a section titled 'Experiences de Physique sans Appareils' (illustrating popular physics experiments that don't require the use of laboratory equipment), is from 'Physique Populaire' (Emile Desbeaux, 1891).